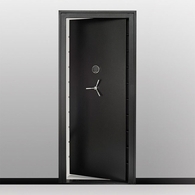 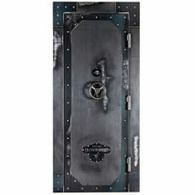 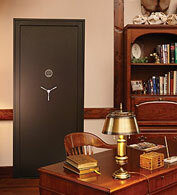 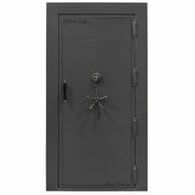 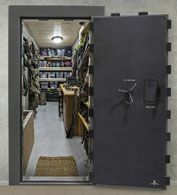 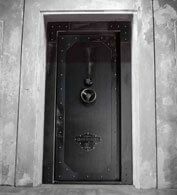 Protect an entire room with a high security vault door. 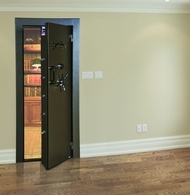 "When you've outgrown all your safes, the next step is a vault door added to a reinforced room to create an entire room to store valuables in. 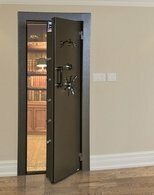 You can also use it for a safe room as well. 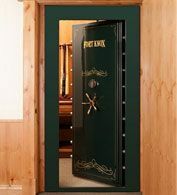 Installing a vault door allows you to store large items that will not fit into any size safe, such as artwork, heirlooms, or other large collectibles. "